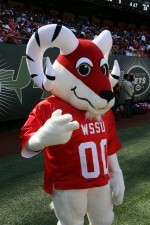 The 1911 United organization was on Winston-Salem State's campus on Oct. 25. 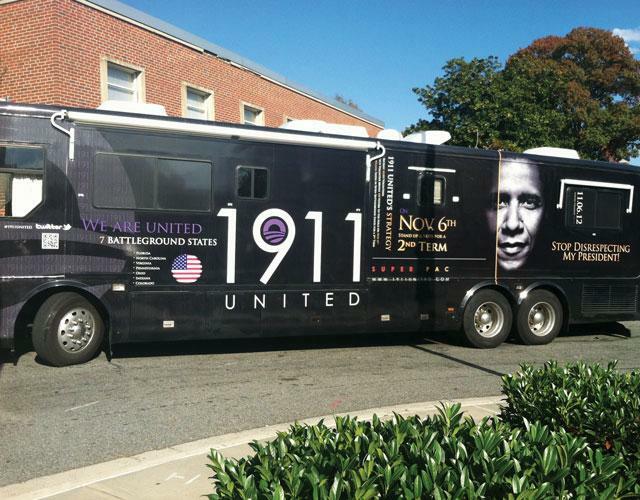 1911 United, an organization created by the Kappa Alpha Psi Fraternity, Inc. and Omega Psi Phi Fraternity, Inc., is on a 30-day tour endorsing the re-election of President Barack Obama. During the 23-city tour that began Oct. 6 in Norfolk, Va., 1911 United stops include Historical Black Colleges and Universities. "We are only going to have so many black presidents," said Frederick Butler, a 1911 United organizer. "We're trying to organize black people for the next generation." During each visit, 1911 United goal is to increase Obama supporters. "We think it's important for people not only to view the elections as an event but as a process," Butler sad. "So we need to be more engaged in the process." 1911 United is seeking help from volunteers to campaign and to encourage as many people as possible to vote for Obama. The organization was formed in 2007, and Butler said their attempts to engage college students to be a part of the organization have been successful. "We've had about 5,000 students sign up and we have over 10,000 followers on Twitter," he said. 1911 United has raised about $250,000 for their organization. The bus is scheduled to travel to Colorado, Florida, Indiana, North Carolina, Ohio, Pennsylvania and Virginia. "Our biggest concentration is the state of Ohio," said Ernest Robinson, a 1911 United committee liaison. Ohio is very important in determining a presidential race outcome. Since 1964, the candidate who won Ohio won the national election. Robinson said that it is important for people to realize the significance that an election can have on their community. "We are always talking about and debating about changes we want to see happen," he said. "Voting for the right candidate will help make a hope you have come in to fruition." 1911's final stop will be on Nov. 7 in Tampa. After the election, the organization will change its focus to issues including prison reform and HBCU funding. "We want to continue to build a strong front and be able to help with issues that plague the Black community," Butler said.